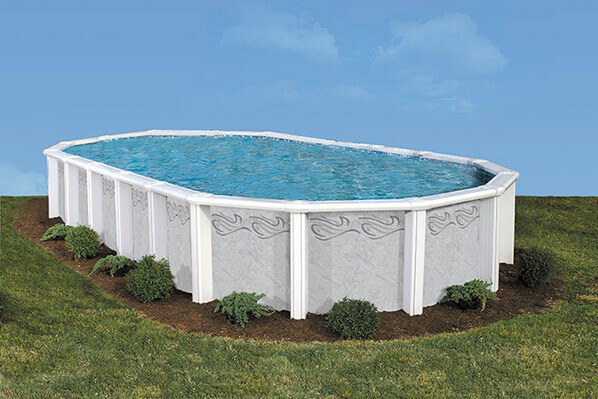 The Saratoga Pool - An impressive 10 1/2" toprail along with a stunning wall design provides status and style to any backyard. 24 Ft x 12 Ft, 24 Ft x 16 Ft, 28 Ft x 16 Ft, 32 Ft x 16 Ft, 34 Ft x 18 Ft, 38 Ft x 18 Ft, 41 Ft x 21 Ft. 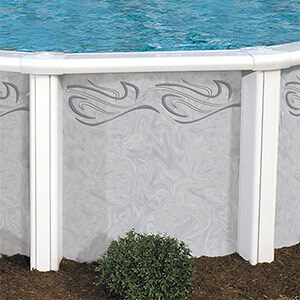 Massive Steel-Reinforced, Resin Columns - These pillars provide not only the structural strength to eliminate top rail rocking but also the visual impact that makes it clear this is an industry-leading pool.